I open my mouth to review the directions that are written on the board when it starts. It’s a low hum at first, almost unnoticed. I could ignore it… what’s one whisper in the hustle of a classroom day? But then there’s a swell in the noise. It’s no longer a low whisper, but a steady rumble. Like a stream falling over a cliff. They are at it once again. I close my mouth, purse my lips and breathe in the frustration through my nose. This chatty class is going to be the death of me. We’ve all had it… the dreaded chatty class… the class that won’t quiet down for ANYTHING. Not candy… not when the principal walks in… not even if you move their clip, take a Dojo point, or whatever. THEY. NEVER. STOP. TALKING. This type of class is not only frustrating but also close to impossible to teach. How many times do you have to restart a lesson, repeat directions, reteach a concept because THEY were talking? Chances are you’ve tried EVERYTHING in your bag of teacher tricks. Punishing the talkers, rewarding the nontalkers, waiting until the all the talking has stopped (Ha!).. and it’s still not working. My first year teaching, I had a terrible class. They were mostly behavior problem boys mixed in with girls who just wanted to make it through the day. But, they weren’t talkers. They didn’t talk all day. They’d sing random songs during seat work… but not talk. Maybe a few whispers in line, or a few giggles during a lesson, but nothing that couldn’t be remedied by a stern glance or a move of a clip. Even for a few years… I didn’t seem to have an issue with talking. But about 5 years ago, it happened. It was like a switch was flipped on. The talking switch. The chatty class switch and from then on, it was like no one could figure out how to switch it off (including me!) I was teaching the same way as before, I was talking the same way as before. Same stern looks, same moved clips, but it was like a power deeper than them was pushing them to talk. Like it was physically impossible for them to stop. My frustrations were high… they’re learning low… and I was at the end of my rope. The crazy thing is… I’m not the only one who felt the switch. Every time I’d mention my chatty class, my concerns were echoed by my coworkers, teacher friends, and the online teaching community. We were all feeling this chatty class problem! But there’s some good news and not so good news about this talking situation. I’ll start with the good news. The good news is talking out loud is actually developmentally important to young children. “Children do think out loud until they’re about seven or eight (it’s part of the developmental process), although some children talk to themselves more, some talk less,” says Lana-Lee Hardacre, a professor of early childhood education at Conestoga College in Kitchener, Ont. She explains that if your car is skidding, you might say, “I have to remember to turn in the direction I want to go,” but you say it in your head. Young children, by contrast, may say out loud what they’re thinking. This type of talking out loud is appropriate for children until they are about 7 or 8 years old. This means you’re not actually going crazy when you see your first graders just talking to talk. Not to an actual friend or neighbor or anyone for that matter. They are just speaking out their thinking. I could go on and on about the links between our technology obsessed students and their social demise… but let’s stay focused! We have a chatty class issue to solve! It sounds easier than it is… I mean, this meme exists for a reason! The easiest way I’ve found to do this is to have an attention getter that pulls double duty. Not only does it let students know you need their attention, but here’s how that attention needs to look: it should be direct, clear, and used often with fidelity (I hate that word too, but here it’s true!) If you undermine your attention getter by starting before all students are ready, you’re just setting yourself up for future frustration! Eyes and ears on me in 3-2-1- This is my trusty go-to for getting students to quiet down. As I waited for all eyes and ears, I’d point with my two fingers at students who were and were not following the directions. I am not a fan of humiliation tactics in the classroom, but when everyone else has settled and that one kid hasn’t… they quickly quiet down when my eyes and everyone else’s are on them. Class-Yes- This is whole brain call and response that worked wonders with my third graders. It is simple, you train your class that when you say “Class” they respond with “Yes”. What sets this apart from other attention getters is that students have to respond in the exact way you called. So, if you say “Classity-class-class” they respond with “Yessity-yes-yes”. Although this is an old standby it’s one I’ve struggled with…it just doesn’t seem to be as effective. I take the first reason being that every teacher has used it at some point… so the novelty has worn off and kids are almost immune to it. Kind of like yelling… if you are always yelling… the kids tune it out and therefore is no longer effective. The key here is consistency. Choose one and stick with it. You can add in more as the year goes on… but be consistent. If you get lax with these, then they become ineffective and you’re back to the same problem as before! Remember- WAIT UNTIL EVERYONE IS QUIET AND LISTENING. It seems like such a simple thing. Especially if you teach an upper-grade level where students are more than familiar with the unspoken rules of school. But, if your class is having issues talking, they obviously didn’t pick up on those talking rules. To remedy this… designate distinct “Talking” and “No Talking” time. My first year, I didn’t have an issue with talking, I had an issue with singing. My class loved to sing at random times during the school day. I could either constantly battle with the singing (a war I was not winning) or I could make it work for me. My new teacher exhaustion pushed me towards the latter. After another “coming to Jesus” talk with my class, we brainstormed times that it would be ok to sing and times when it wouldn’t. I kept our brainstorm chart posted on the blinds and would refer to it during the day. To reinforce this, I started writing on the board whether it was a singing or non-singing time and reminded students of our chart. If students started singing during the non-singing time, they had to move their clip, and singing time for later was “canceled”. I’m not gonna lie… this was hard. I hated punishing my whole class for one student’s mistake, but the situation was extreme and that meant extreme measures. Luckily, it only took a few times of lost singing time for students to get the hint. We spent the rest of the year’s morning work time singing. It wasn’t so bad. In hindsight, I would have had the students come up with reasonable consequences for infractions, but I was a first-year teacher trying to keep my head above water… not the Dali Lama. So, let’s be honest… at some point during the day, students HAVE to talk. They have too! How can you complete partner work or group work without talking? So… for these time, I like to have designated voice level guidelines. At the beginning of the year, I teach my students about voice levels. We discuss and practice each level and I hold students accountable for their levels. I’ve found having these posters displayed made a huge difference and students would even remind each other of their levels. You can download a free version of these for free at the end of this post! If you’ve found that your students are loud at inappropriate times, these are your best friend! You do have to train your students on what they mean (and how they look and sound in your classroom!) so, expect some leg work when implementing! 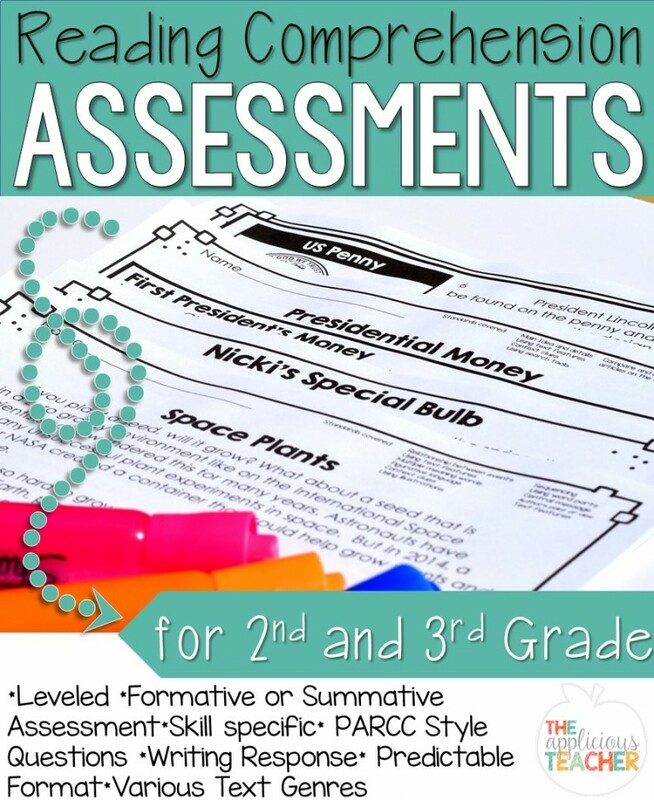 Designate a level before your lesson or activity. If we’re about to take a test, I’ll remind students we’re on a level zero or no noise. If we’re doing a group project, I’ll show them their respective level. We then practice what it feels and sounds like to be on that level. I promise your students will love saying hello to you in a level ‘0’ voice! Remember, talking is a way for students to process their learning, so allowing talking during lessons will help satisfy the need to talk, but in a productive and engaging way. Anytime you can take a time from you talking about learning and switch it to a time where your students are talking about learning, you’re in for a win! For me, that’s being done with collaborative discussions. You can read this post to understand more about this amazing routine, but the skinny is… teach your students to ask the questions AND give them time to ask. For “turn and talk”, this is a quick response activity I like to work into lessons or activities that I know students are going to want to talk A LOT about… but I don’t really have time to listen to everyone’s story. Think anticipatory set, or “what would you do?” questions. To implement is easy, after posing a question and giving think time, have students turn to a neighbor and discuss. To bring back the class after a few moments, I count down from 10. By 5 they should wrap up their convo and by 1 they should be done. Number talks are a massively meaningful routine that I could take a whole blog post by themselves. But they are amazing! This routine is perfect for math and gives students a chance to share their thinking. You can read this post to learn a little more about this math chat routine. So, we can all agree that talking gets in the way of learning. But more importantly, it gets in the way of listening. If students are talking, then there is no way they are listening. Tiny humans are not built to function that way. So, if students are talking while instructions are being given: stop, wait… and start all over again. Restate those first few steps, or reread that page, or restate that sentence. I know it’s annoying… but you’re banking on that annoyance to have students want to stay quiet. So those are just a few ways to quiet a chatty class. But, let me warn you. All these tips, tricks, and ideas are moot if you’re not consistent. If you’re going to use voice levels, then continue to use those terms from the beginning of the year to the end. Don’t be afraid to hold your students accountable for their actions. It’s much easier when you’ve set a clear expectation and you’ve consistently held on to that expectation the whole time. Students will learn and adjust their behavior. But remember… you have to be consistent!!! I opened my eyes and threw up my heads. “Boys and girls! Eyes and ears on me in 3…2…1…” , and I waited as the rushing stream of talking began to cipher off. Wait for it… I whispered to myself. I scanned the room and made eye contact with the students who already were quiet. Acknowledging and rewarding their quick response with a smile. Then, I walked over to the two students who were still chatty away as if nothing else existed in the world (especially not their teacher who was trying to review directions and get their attention). I catch their eyes and motioned up to my hand. Immediately, the chatting stopped. PTL… I thought. PTL! I swooped back to the board and started, “I’m going to go through the directions with you, then you’ll have time to talk to your team. ” and I started over with directions’ number one. Want to grab these resources for yourself? Subscribe below! Much needed great ideas! Thank you!!! I have to say as a music teacher, I love that you had a “problem” with your kiddos singing all day. They must have had a good music teacher 🙂 Thank you very much for the helpful hints. I *wish* it was songs they learned in music… these were more on the radio and not always school appropriate. But they def LOVED music! LOL!